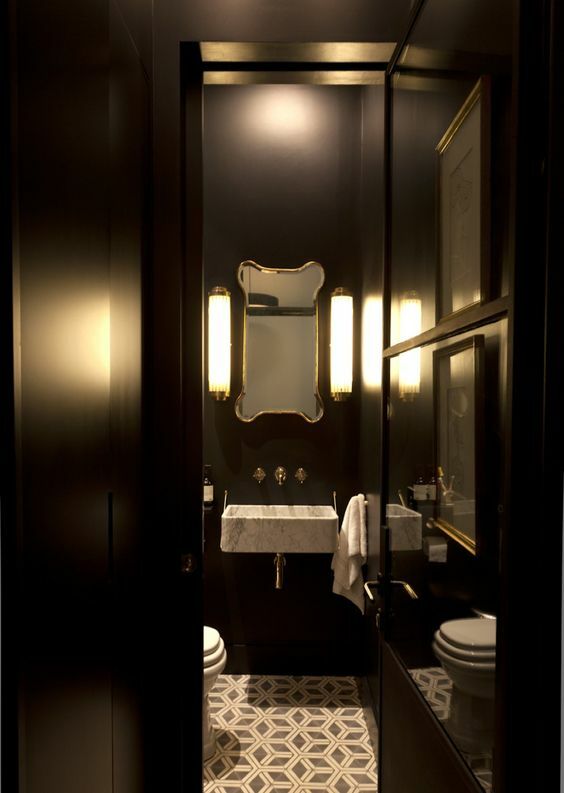 Black is a slimming color which can have the same effect on rooms. 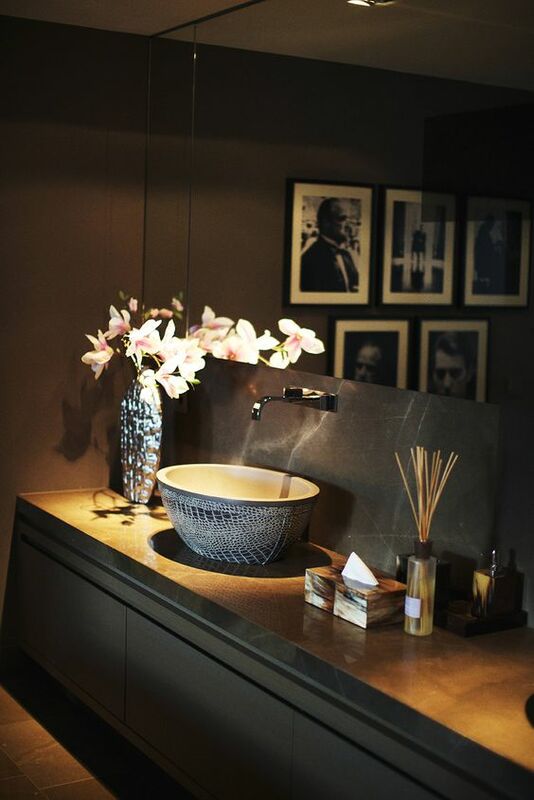 When designed correctly it can make a bathroom feel more harmonious and luxurious. 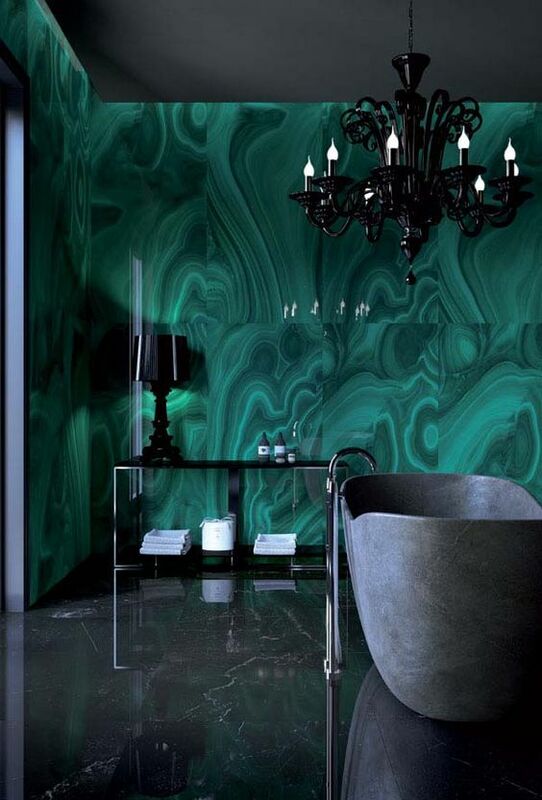 Pops of color, nature elements, and lighting is a great way to bring some refined style to a dark bathroom. Check out some of the classy examples below. The red lighting fixture is a strong focal point within the different dark tile and stone materials. Here again the red becomes the point of interest. Did you even notice that there are two sinks in this photo? 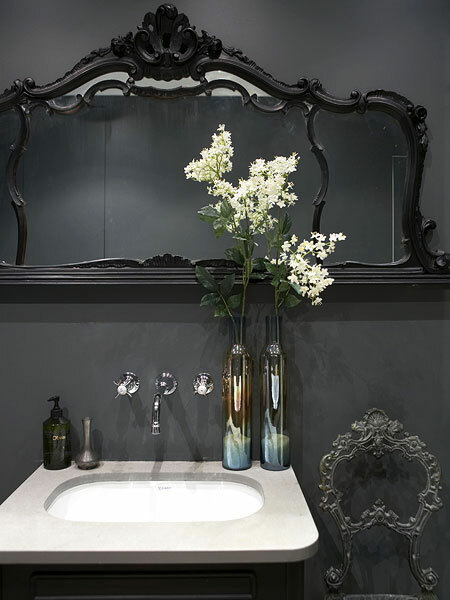 Elegant touches like the mirror frame and chair can give bathrooms a little bit of Gothic charm. 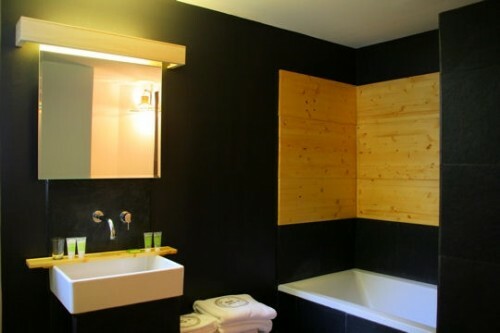 Lighter colored woods against black walls is an easy way to get a modern feel. Shiny brass is another element you might want to consider incorporating when designing with black. 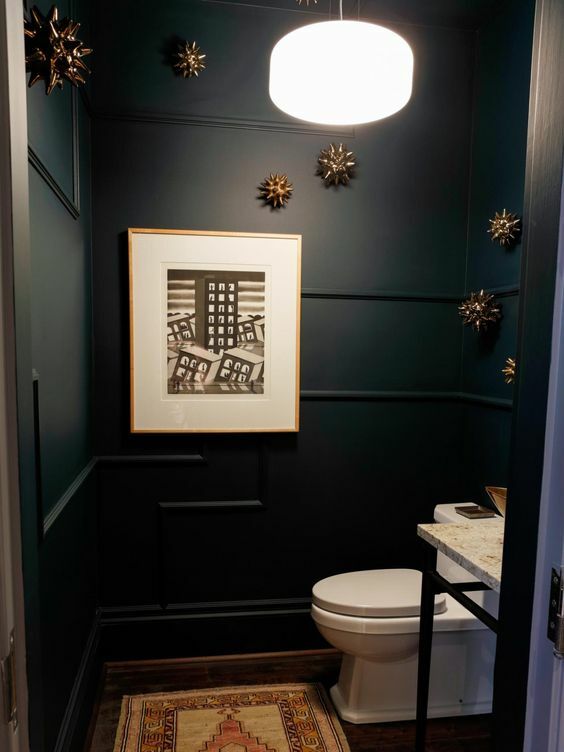 Lighting and pops of brighter colors are keys to designing to smaller bathrooms with dark walls. 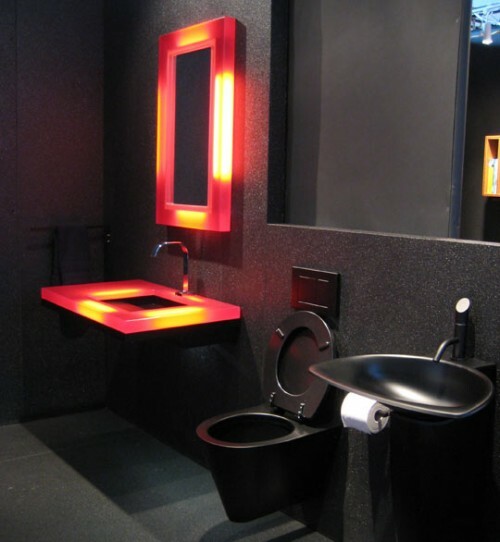 Spotlighting is another cool lighting effect that can work well in dark bathrooms. Dark blue-greens are nice alternatives to black tones if you don’t wanna go far down that road. 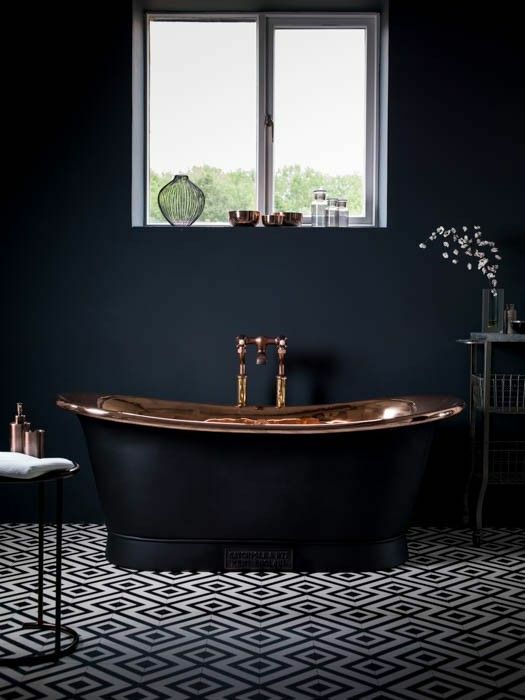 The different style dark stones used here for the tub, floor, and wall are so luxurious don’t you think? 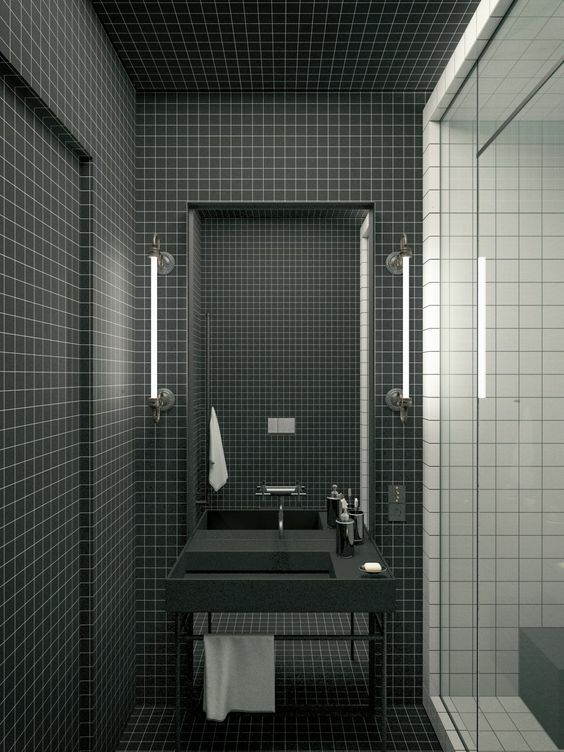 The black tiles in this bathroom make for a modern look with out it being to costly.